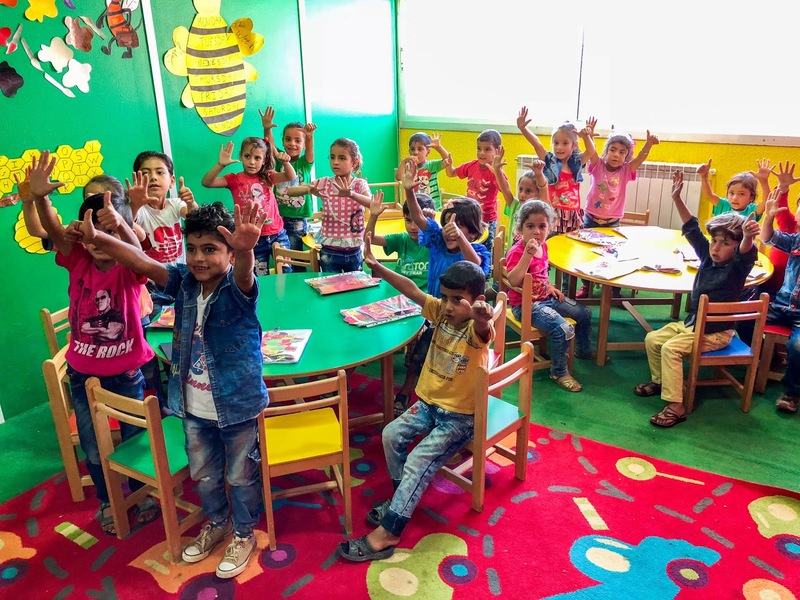 They've been referred to as "The Lost Generation...Syrian refugee kids living in Lebanon growing up without an education. Rewinding the clock a bit from my visit to the Syrian refugee camps in Lebanon, we started our day visiting one of the World Vision schools dedicated to the education and well being of the Syrian refugee children. As we pulled up to the school, everything seemed very tidy. We walked inside and were greeted by a teacher who was prepared to give us a tour of the classrooms. We received a brief overview of the school and then we were invited to go inside each classroom to meet the children. The first thing I noticed was that these children were full of smiles and very engaged in their classwork. We were interrupting their classwork for a few minutes, but they didn't seem to mind. They were eager to take some photos with us which was awesome. The classrooms were much like any school in the US with lots of the children's artwork and projects on the walls. This was a very nice school and the children who attended here were very blessed to receive such a top-notch education. 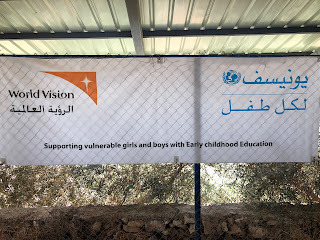 This was my first look at the "on-the-ground" work of World Vision and it was VERY impressive! I can't imagine what my life would have been like had I not had the opportunity for a quality education. Because I happened to be born in a country like the USA, education was always available to everyone. This is just not the case in many places around the world. Lebanon provides a good education for their children, but imagine what it was like for Lebanon to inherit about 500,000 new children into their education system. Overwhelming to say the least. Another challenge in the education system is transport, which regardless of how low the price, is often unaffordable. 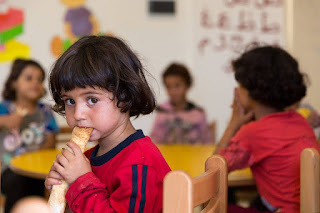 Language can be a barrier, as some subjects in the Lebanese curriculum are taught in French or English, and in other cases, parents worry about bullying. Many times, girls are expected to stay home to assist with chores, while boys are expected to work and provide for their parents. So many challenges! But World Vision is making a difference! For much of my life, I've seen the World Vision ads on TV promoting their child sponsorship program. I often wondered where that money really went. 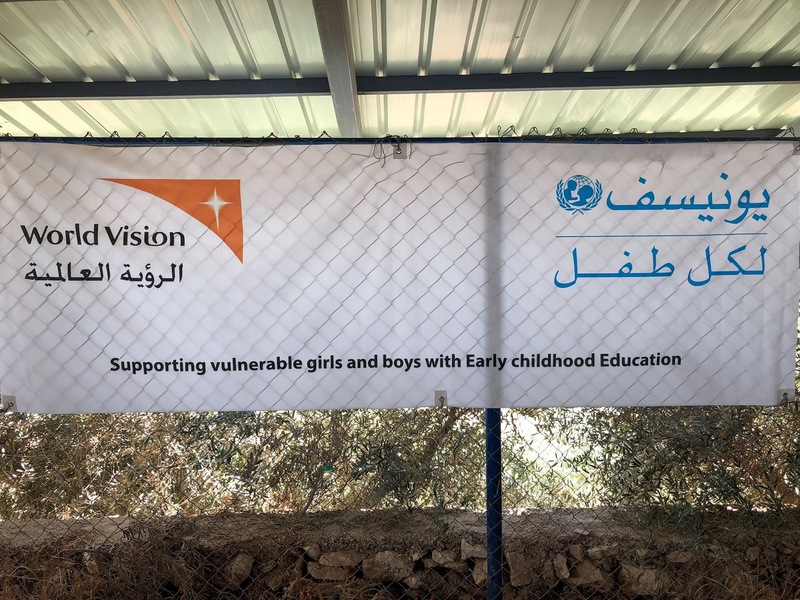 Without turning into a big commercial, I can tell you that the work of World Vision is top notch and that they are a world leader when it comes to the lions share of their funds going directly to projects. They are legit! As my time in Lebanon was ending, My heart broke for the Syrian children and their families who are now living as refugees in Lebanon. In just 2 short days, I saw, heard, and experienced the horror stories of those who had survived war and terror. 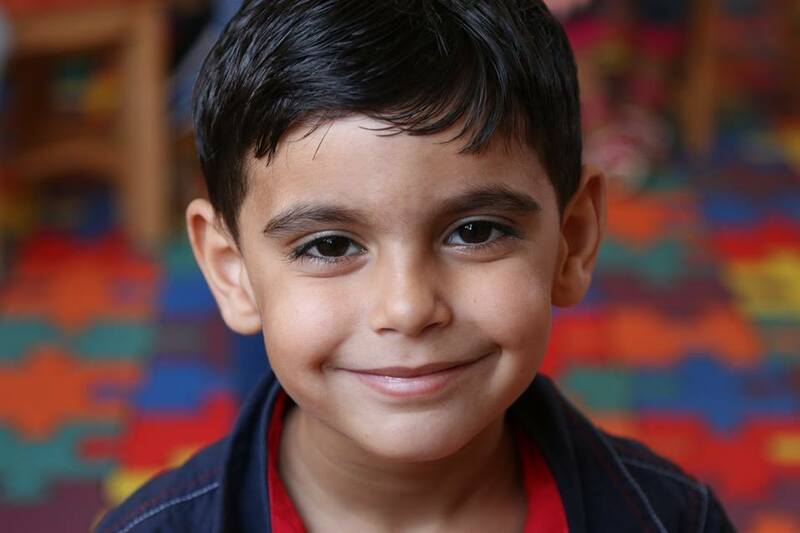 In the midst of these tragic stories was the bright light of the work of World Vision. As we look at ourselves in the mirror, my prayer is that we develop lives of generosity that actively reflect the love of God to the poor and broken people of the world! We love sponsoring our kiddo through World Vision. They are a fantastic organization for sure!!!!! !